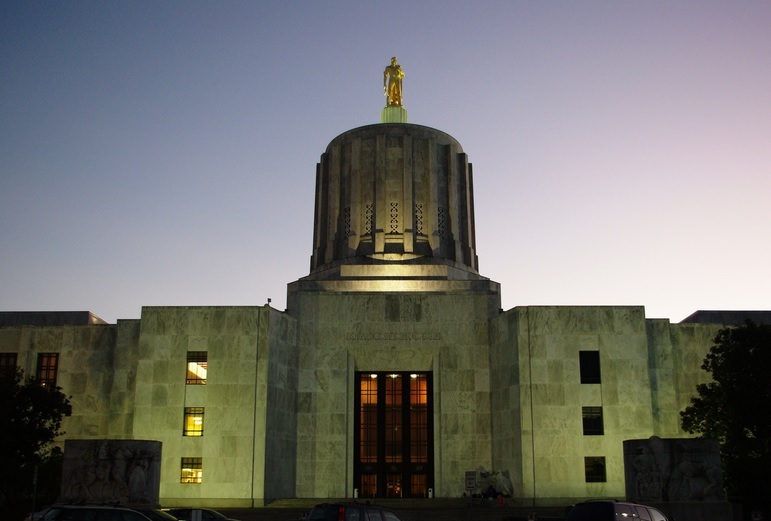 The carbon tax bill, HB 2020, also known as Carbon Cap-and-Trade would have a big price tag for Oregon small businesses and their customers. Residential customers in Oregon who use natural gas are likely to see their rates increase by 11 percent—or $74—in 2021, the first year Oregon’s new climate policy and cap and spend bill takes effect, and by 53 percent, or $567, in 2040. Those numbers appear in NW Natural’s study of how the proposed carbon tax, which has more support this year than in previous legislative sessions, is likely to affect its customers. The first year, small businesses would see increases of 13 percent and industrial customers 28 percent. Natural gas utilities, businesses, and others are pushing back on the proposed cap and spend bill, saying it would lead to immediate and major rate increases, and only grow worse in the future. The legislation’s goal is to cut greenhouse emissions below 1990 levels by 45 percent by 2035 and 80 percent by 2050. Under the measure, utilities, industrial businesses, and transportation fuel providers that emit more than 25,000 metric tons of greenhouse gases each year would be required to offset that pollution by purchasing emissions allowances from a state auction or secondary market. The cost for allowances would increase each year as the numbers decrease, which is designed to force companies to reduce emissions. People who purchase gas for their vehicles will pay a lot more at the pump, as the Department of Environmental Quality estimates gasoline and diesel suppliers would pay 60 percent of the $550 million the auction would raise in 2021. That portion of the money would be allocated to highway projects. Allowance prices would increase from $16.77 to $26 per ton while overall emissions would decline. But, the legislation exempts specific utilities—such as the state’s two big electric utilities—until 2030 in recognition of their early efforts to eliminate coal-fired power and increase green uses such as wind and solar energy. Giving preference to electric utilities over natural gas, coal, or oil companies is inconsistent and unfair, according to critics.